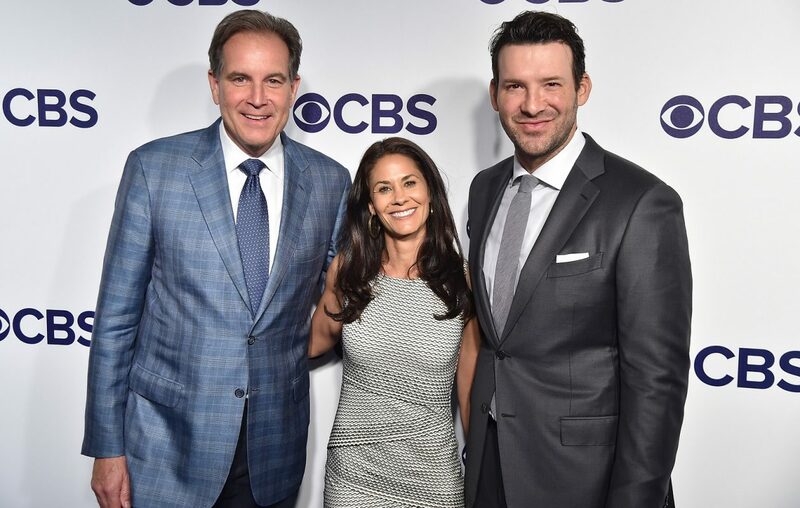 CBS Sports held a news conference last week with its Super Bowl team of Tony Romo, Jim Nantz, Tracy Wolfson and several behind-the-scenes personnel. You don’t have to be Tony Romo to have predicted that most of the questions were directed at Tony Romo. His sky-high reputation as an NFL analyst shot to the moon after his performance in the New England Patriots' 37-31 overtime victory over the Kansas City Chiefs in the AFC Conference Championship game. Sunday’s Super Bowl between the Patriots and Los Angeles Rams will be broadcast on CBS affiliate WIVB-TV. Here’s a summary of what I wrote about Romo’s performance in that game. “The 230,000 households in Buffalo that were watching the game were treated to another example of why Romo quickly has been considered the best analyst in the game. He predicted so many big plays by the Patriots before they occurred that you almost felt like he was inside quarterback Tom Brady’s mind when Brady killed plays for an audible after looking at the Chiefs' defensive scheme. During the conference call, Nantz pretty much validated my opinion. “He and Tom Brady are seeing the same thing,” said Nantz. “People think Tony is a fortune teller, but this isn’t guesswork and it isn’t psychic ability. About an hour later, I finally got to ask a question on the call. I wondered if it is easier for Romo to predict plays when a veteran quarterback like Brady is playing rather than a less experienced quarterback rookie like the Chiefs’ Patrick Mahomes and the Rams’ Jared Goff. “Umm, that’s a good question,” replied Romo. “I think yes. The No. 1 thing is there are certain things to the game that when you play the position for a long time, you just know that are easier than other things. You just know certain coverages, certain things beat certain coverages, certain fronts make it more difficult to run against. “It is hard to explain what I am looking at. If it was just what Tom was thinking that would make it easier. You are looking at the defense, you are looking at pressure. Sometimes what happens, you are looking at a matchup on the defensive line. If this is a bad matchup, I have to get the ball out quick even if the read would tell you to go somewhere else. So there are a lot of little things that you are reading and trying to analyze quickly. That was enough to make me think Romo is going to be better predicting what happens when Brady has the ball than he will be when Goff does Sunday. Romo’s prediction rate was so high in the AFC title game that it led to many funny comments on Twitter in which people tweeting were asking him to predict their futures. My best shot was saying Romo "was so good I wish he predicted Buffalo weather." My favorite Romo tweet was the one that said the analyst knows what is inside the report of special counsel Robert Mueller. When I told him that I’d appreciate it if he could tell what is in the Mueller report, he just laughed. He wasn’t in a joking mood for most of the call, except when asked if he thought the NFL’s relaxation of celebration rules after he retired from the Dallas Cowboys was a good thing. Then he unnecessarily explained that he was kidding. Like a good team player, Romo deflected most of the praise he received for the AFC title and suggested it was a team victory for CBS. He said he has had a lot of help from Nantz and producers in his short two years as CBS’ top analyst. He was self-critical when he began his new job. He said his favorite announcer was John Madden. Romo loves his new job, which keeps him attached to the game. And the married father of three has no immediate plans to coach. Nor does he think of the pressure of trying to repeat his AFC title game performance. That was clear from his answer to my final question – does he feel pressure to do it again?